June 2018 saw the start of a great partnership between Solar Radio show 'Straight Ahead' hosted by David Lewis and the 606 Club. Known for its high quality, soul-related music, Solar Radio's roots started in the early 80's quickly becoming one of the leading soul pirate radio stations of the time. Those affiliated with the station campaigned to be recognised as a legal entity. Finally in 1998 the station was officially launched on Satellite, broadcasting soul, funk and jazz across Europe. The 606 Club and David Lewis bring you Straight Ahead live every Wednesday evening between 10pm-midnight. The show is all about great jazz from the halcyon days of Blue Note in the 50’s, a little big band swing and also focuses on upcoming artists that will be appearing at the Club. 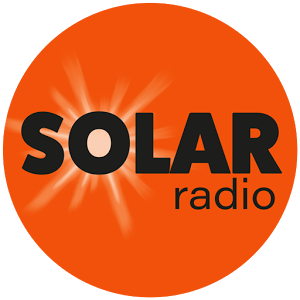 You can tune in to the show on a Wednesday evening between 10pm-12am via the Solar Radio website, their free apps for Apple and Andorid or through Sky Channel 129. Missed it this week? You can listen to the most recent show below, or why not have a look at the archive here! 20 February 2019: playing tracks by Benny Golson, Dexter Gordon, Tim Whitehead, Masters Productions & David Lewis, NYJO and more. Also featured on the show we spoke with acclaimed British saxophonist Tim Whitehead, just one week before his gig at The Club with his daughter Hattie (Wednesday 27th). In the second part of the interview, there is a fascinating moment where Tim explains improvisation with real clarity. We also heard from Brandon Allen who is with us this weekend (Saturday 23rd). 21st November 2018 - Jason Rebello, Booker Ervin, Art Blakey & The Jazz Messengers, The Jim Mullen Organ Trio, Stacey Kent and more.